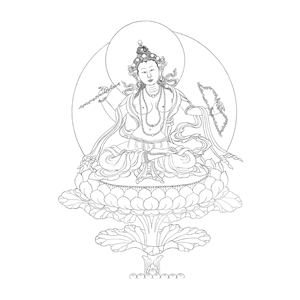 Available to authorized students of Sakyong Mipham Rinpoche who have received the appropriate empowerment and reading transmission. Please leave a message in the comments section of your order, stating with whom and where the transmission took place. 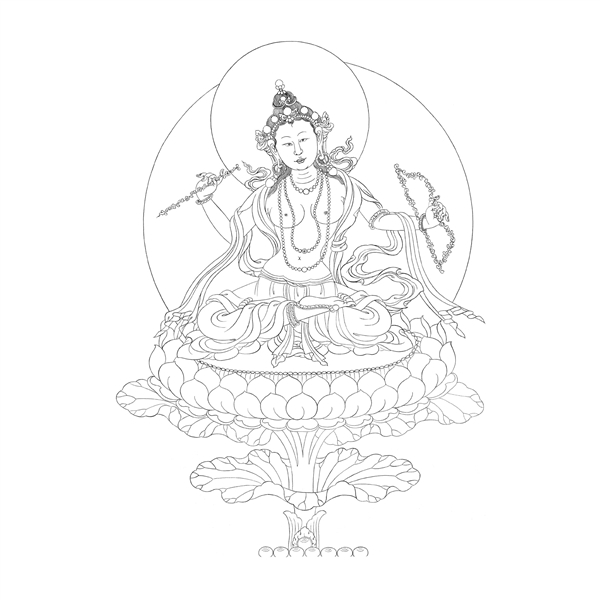 This is a drawing of the form of Kurukulla used in the guru yoga in Sakyong Mipham Rinpoche’s Kurukulla sadhana.